Harare – Zimbabwe’s capital, Harare, has been ranked one of 10 worst cities in the world to live in, according to a survey. The Economist Intelligence Unit’s 2017 study said Harare was ranked eight from the worst city to live in among 140 metropolis assessed. The only cities worse than Harare are war-torn cities such as Damascus, Tripoli, Dakar and Karachi among others. Every city is assigned a rating of relative comfort for over 30 qualitative and quantitative factors across five broad categories: stability; healthcare; culture and environment; education; and infrastructure. Each factor in a city is rated as acceptable, tolerable, uncomfortable, undesirable or intolerable. For qualitative indicators, a rating is awarded based on the judgment of in-house analysts and in-city contributors. The scores are then compiled and weighted to provide a score of 1–100, where 1 is considered intolerable and 100 is considered ideal. Harare had a rating of 42,6. Melbourne, Vienna, Vancouver, Toronto, Calgary, Adelaide, Perth, Auckland, Helsinki, Hamburg were rated as the most liveable cities in the world. 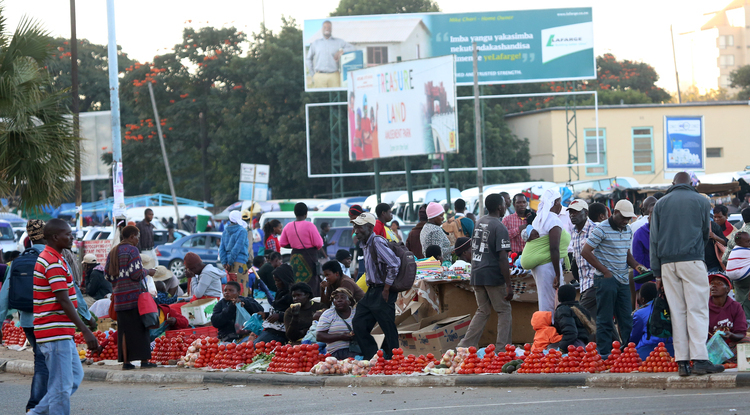 The ratings come as Harare City Council is aiming to regain its sunshine city status by 2025, a wish described as a long shot. This comes as mounds of waste in garbage dumps around the capital are hindering the citizenry’s confidence in local government. Trash cans or bins overflow with rotten fruit, spoiled eggs, and other garbage. Pedestrians have to jump over disgusting trash scattered on the sidewalks, at bus ranks, shopping centres and street corners across Harare, meanwhile either cursing the city government or holding their noses. Deputy chief secretary in the office of the President and Cabinet Ray Ndlukula has said the vision of a world-class city could be derailed by poor service delivery and damaged roads. “The city’s 5 000km or so road network is now largely filled with potholes and in some instances the tarmac has been eroded to resemble gravel roads in rural communities,” Ndlukula said while addressing a recent Rapid Results Initiative (RRI) review meeting, in the capital. “Furthermore, some structures were built in the colonial era and now pose a danger to occupants, as their safety standards have been compromised. “Heaps and heaps of uncollected rubbish are now a familiar face in some parts of the city especially in high density suburbs, with some residents and small business operators now taking the initiative to burn the litter on their own hence causing another problem to the environment which is pollution. “Dilapidated water and sewer reticulation systems . . . have also caused problems in the city in the form of burst sewer pipes thereby posing health dangers to the population.